As the dog days of summer set in, the American Solar Transformation Initiative has beat the heat and continued to gain momentum. ASTI has expanded the reach and impact to California’s southern coast, while communities across the U.S. continue to achieve goals related to process improvements and solar market development. 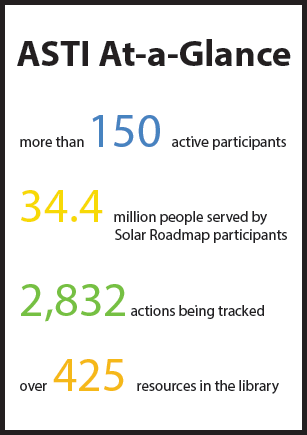 Based on our latest weekly statistical analysis for all participants on the Solar Roadmap platform, we have added 10 new local actions each week for the past four months–with a total of over 2,800 market transforming actions concurrently tracked and supported nationally! The ASTI team recently presented another Solar Power Hour webinar, “Residential Solar Group Purchasing: Implementing Successful Programs”, which featured guest presentations from our partners 4CORE and EnergySage. Participants received an overview of several models for group purchasing initiatives and learned about best practices from 4CORE’s Solarize La Plata program. The webinar slide deck can be viewed here. 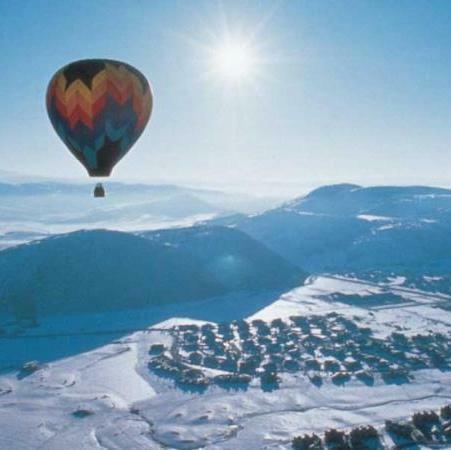 Read on for more exciting updates from Utah, Virginia, and more! 11am – 12pm PDT/2pm – 3pm EDT. Live webinar presented by the ASTI team, focusing on the Solar Roadmap’s permitting goals. Event and registration details TBA. In Maryland, the ASTI team is helping to improve local solar market conditions and increase solar deployment by providing a range of on-the-ground technical assistance activities to communities that cumulatively impact over 32% of the state’s population. 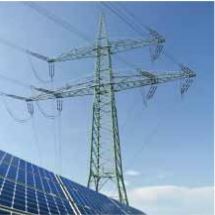 To cope with an increased volume of applications for distributed generation, many utilities have created multiple tracks, or “levels”, for interconnection. 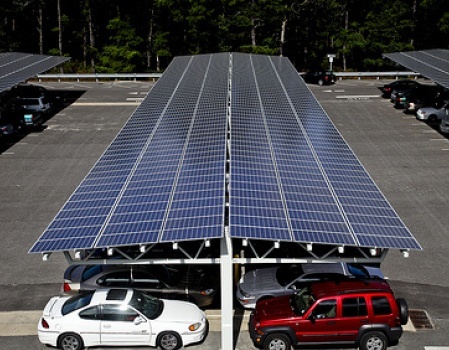 Solar Roadmap Goal I4 advocates for a leveled approach to processing applications, which allows utilities to reduce the workload on their engineering staff and provides the industry with a more transparent process. For more information about how we can support your specific needs or to request assistance in any Solar Roadmap focus area, please email your assigned regional lead or ASTI@SolarRoadmap.com.